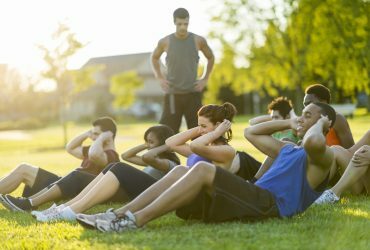 Do you prefer to exercise in a group? Or do you want to get fit with your colleagues and work on teambuilding the same time? Small group training is the way to go! Small Group Training is possible until a maximum of four people (exceptions are possible) to guarantee the quality and personal attention for everyone in the group. Functional, strength and speed exercises are combined with stamina and coordination exercises to always keep these training hours changing and challenging for everybody. When you train as a business company, you’ll even have tax benefits!